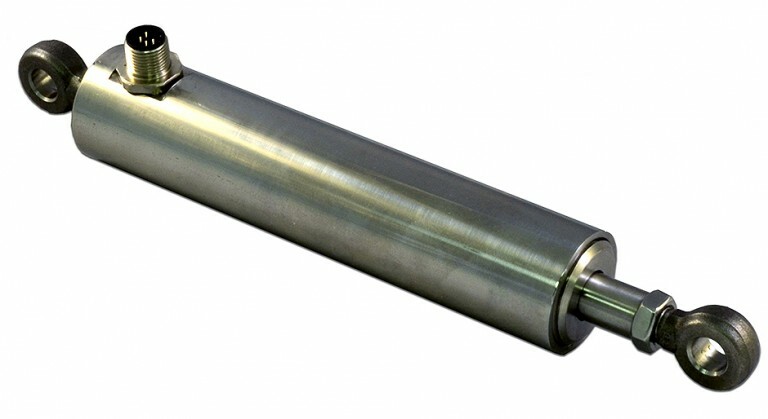 Alliance Sensors Group LV-45 series linear position sensors are specifically targeted for measuring applications requiring rugged devices, whether measuring position of steam turbine valves, mounted in a paper mill head box or calendar roll stand, or operating outdoors fastened to a bridge or structure. LV-45 sensors use a contact-less inductive technology that allows them to replace other technology sensors like potentiometers and DC-LVDTs in most applications. With a simple coil design, a captive connecting rod, and a thick walled housing, the sensors are both shorter and more robust than their DC-LVDT counterparts while operating over a wider temperature range, so they can withstand the vibration and shock levels found in mills and power plants, as well as the temperature and humidity found in outdoor applications. Once a sensor has been installed, ASG’s SenSetTM range adjustment process permits a user to match the sensor’s zero and full scale outputs to the workpiece’s actual range of motion.